DN150~DN500 Valve Ball-Hi-Light International Inc.
DN150 up to DN500 Stainless steel valve ball. 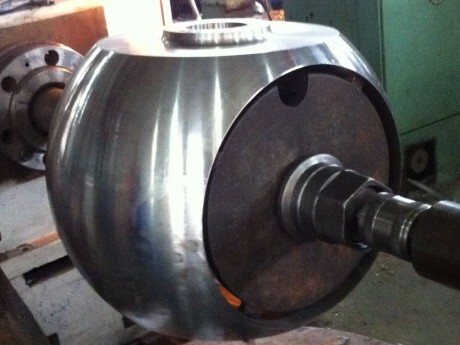 Big size valve ball for port size DN150 up to DN500 by stainless steel plate, welding and forming. Avaiable for providing the big size valve ball per your own design, material specification, heat treatment and coating requirement.